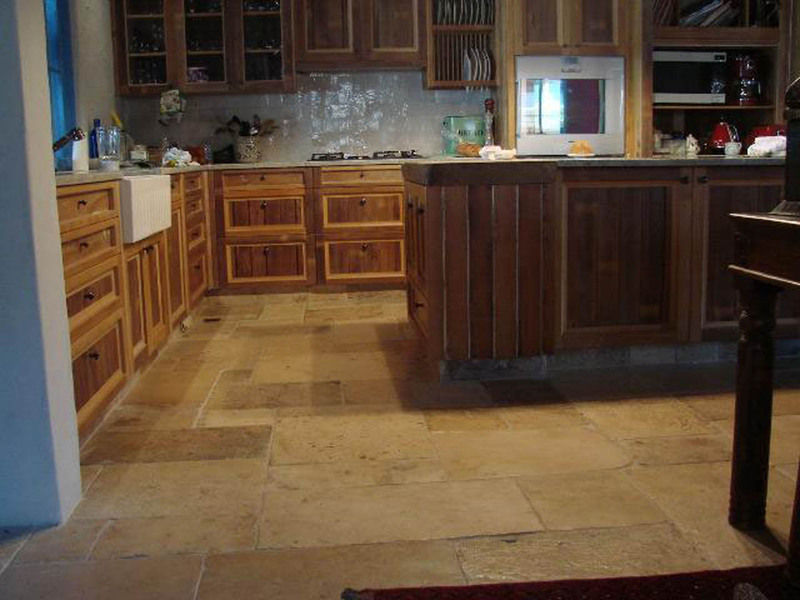 Antique Limestone Flagstones, Reclaimed antique Bourgogne limestone floors, in authentic random format with large average sizes. 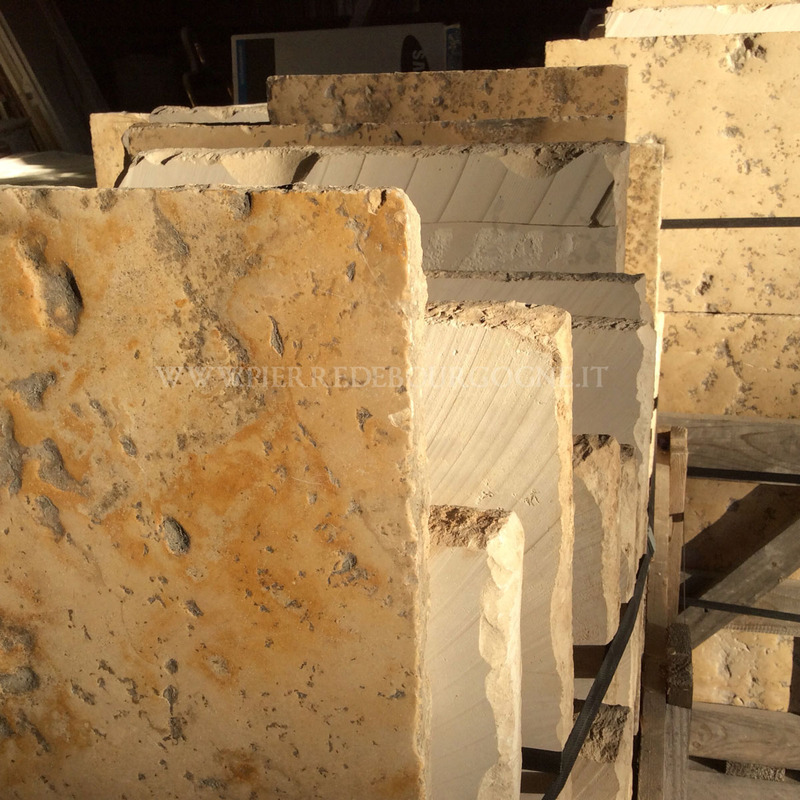 Antique salvaged flagstones with excellent original surface patina used for interiors and for exteriors. 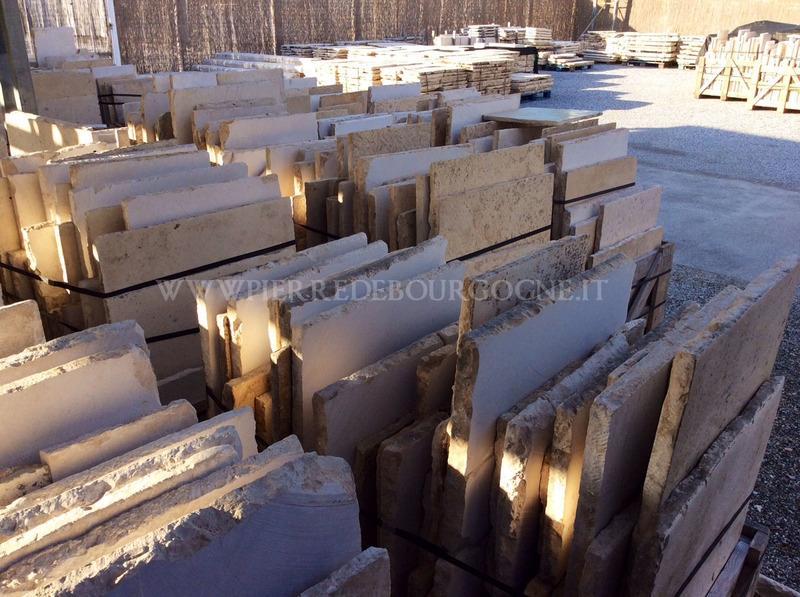 Large quantity in stock available immediately, genuine antique limestone flagstones, dalles de Bourgogne “top cut” to fairly regular thickness of 3cm (1.2″ approx), or thinner also in stock cut down to 2.5cm (1 inch). 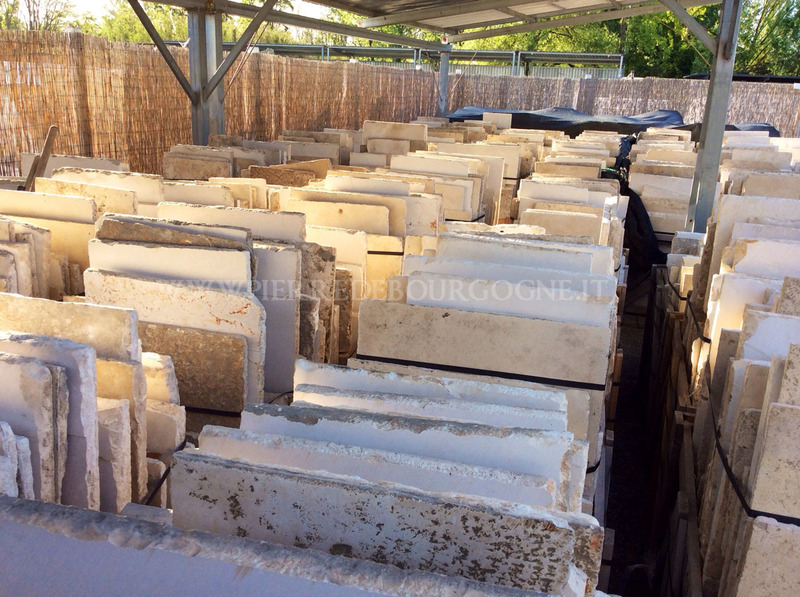 Contact us for latest stock information and more photos. 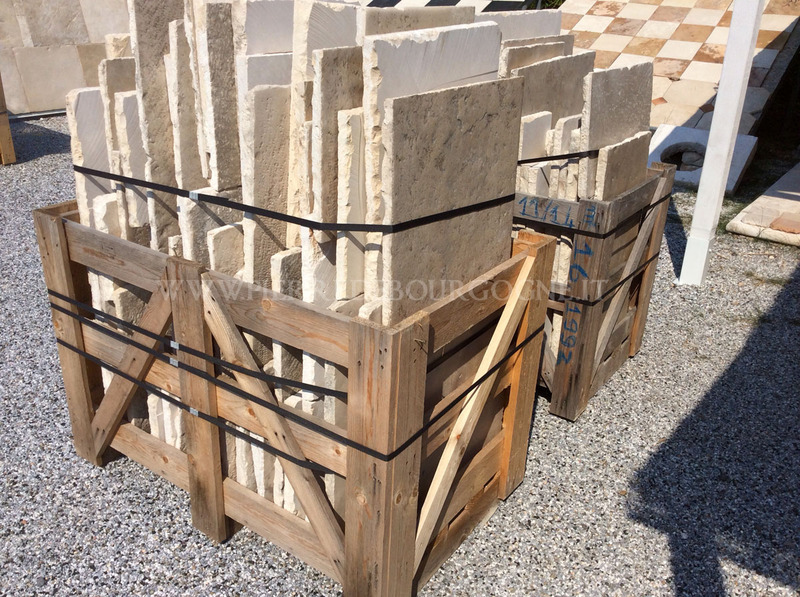 Stock visible in our showrooms in Forte dei Marmi Via G.B.Vico 63 (Tuscany) ITALY.